Great News – Media Composer v8.9.1 is available now via My Avid Master Accounts, Application Manager, and the Avid download center (login and password required). The readme is here. 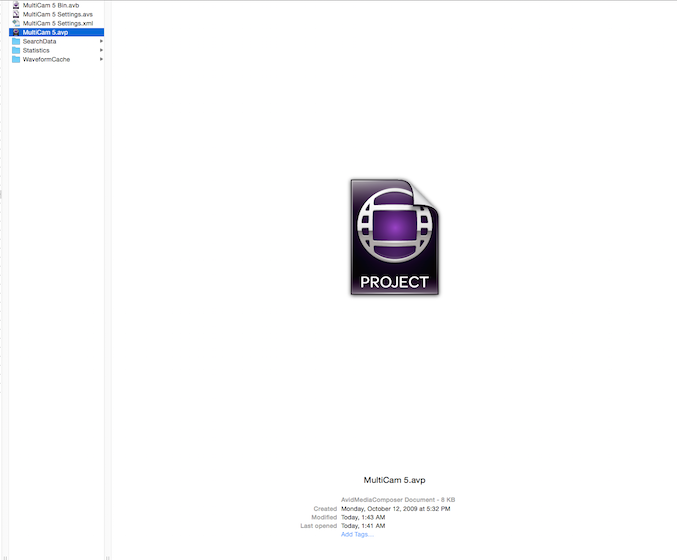 Installers: There are ONLY Media Composer v8.9.1 Mac and v8.9.1 Win FULL Installers. No Patch Installers with this release. Changed in v8.9.1: The following has been changed in this release. Nvidia Update - This v8.9.1 release supports Nvidia driver v385.08. Note: If you are using a RED workflow, stay on the v353.82 Nvidia driver. OS Update - This v8.9.1 release has added support for Mac OS v10.12.6. Avid Generic Plug-In’s - Avid continues working to remove dependencies on QuickTime libraries. With this release, theAvid Generic plug-in natively supports the following format for linking and playing. Limitation: The following is a known limitation with this release:In UHD 23 and UHD 59 projects, the editing application consumes a large amount of memory when you perform a video mixdown of XAVC-S based sequences to XAVC-I resolutions. Avid recommends that you do not perform a video mix-down of XAVC-S to XAVC-I. Workaround: Render effects before performing a video mix-down. Fixed in v8.9.1: The following have been fixed in this release ( Bug # are included in the ReadMe ). * You might have experienced dropped frames when playing back linked Alexa ProRes 4444XQ media. This has been fixed. You should empty the contents of Source Browser cache folder (C:\Users\Public\Documents\Avid Media Composer\AvidSourceBrowserCache) and AMA Management folder (C:\Users\Public\Documents\Avid Media Composer\AMA Management), then relink to the media. * In some instances, if you had enabled the “Project Default: Use lower edit timebase in high frame rate projects” option in General Settings, the Media Creation Capture Tab resolution site setting was not sticking. * On send to playback, changing the Audio Mixer Master Level to a new value, then back, resulted in an audio mix- down. * In some instances, Media Creation settings reverted to DNxHR LB when you were in an UHD project. * You might have received “Access violation” errors during playback of Multicam sequences if Play length Toggle was enabled. *Setting a Motion Effect clip’s speed to 200% increased the bin size. * In some instances ProRes 422 media was not linking. * Exported marker TXT files might have contained extraneous tabs and line breaks and in some instances would not import correctly back into Media Composer. If tabs are found in the marker text, a dialog box opens allowing you to keep the tabs or replace them with spaces. * You might have received an AvidOpFrameGenerator error when using the Source Browser. * In some instances, you might have received an “ADM_PLAY_NOT_ARMED” error if Desktop Play Delay was enabled. * Linking to a Canon C300 folder caused the editing application to crash when an old ARRI Alexa plug-in is installed. Removing the Alexa plug-in allows you to properly link to a Canon C300 folder. * In some instances, an Alpha matte clip would match frame to the wrong clip. * If you exported as an AAF a portion of a sequence with “Use Marks” and “Use Selected tracks” selected, the Pro Tools Import Session Data start timecode was incorrect. * When your locale was set to German, Spanish, or Italian, a number of Media Composer dialog boxes displayed cut off text. Avid continues to make improvements when displaying these languages so the text is displayed properly. * The color eyedropper was not accurate when working with the 3D Warp effect. * In some instances, you might have received an “Assertion failed: acomp == NULL acomp->isTransition” error when performing a trim. * In some instances, you could not change the Mix Format to 5.1 when playing group clips in the Source monitor. * You might have seen audio keyframe redraw issues in the Timeline when Volume automation data was turned off. * When working with HiRes monitors, if you were in Frame View, playing back a thumbnail was not in the correct position while playing in bin. * You might have received “Assertion Failed: mOutputCompression” errors when consolidating AVC High 4:2:2 Intra media. * You might have received a DidMapper error when consolidating a sequence containing Edit While Capture clips. * If you were working with a Japanese OS, some clips could not be checked out of Interplay. 1. Customers who have already installed the latest Media Composer v8.9 will be notified of the availability of the v8.9.1 upgrade via the AppMan. The Apps tab will provide a link to download and install the update when desired. 2. New customers who purchase Media Composer on or after August 24th, 2017 will receive this v8.9.1 update in their Avid Master Account. 3. Customers on current valid Upgrade & Support plans can download the Media Composer v8.9.1 and either update from their Avid Master Account or the Avid Download Center (login and password required.). 4. Customers NOT on a current Upgrade & Support contract that wish to upgrade to Media Composer v8.9.1 must purchase a new Subscription or Perpetual License. The new Nvidia driver inside Installers 385.08 it's not compatible with my Quadro 2000D. The latest driver for 2000D is the 377.55. So this could probably means that with 8.9.1, 2000D isn't supported? So I will install the latest supported for my card. The Activation server is not connecting? Anyone else or is it just me? Can We PLEASE have the Pace Licence Services Automatic start (Delayed) service, permanently changed when it re-installs to NON DELAYED start? Several updates in and it has not been resolved. Whenever I try and send anything to transcode in the background, MC 8.9.1 hangs and locks up. I have installed K2000D and run this driver on my system with no problem. do you notice higher performance on H.264 (.mov and .mp4) playback? 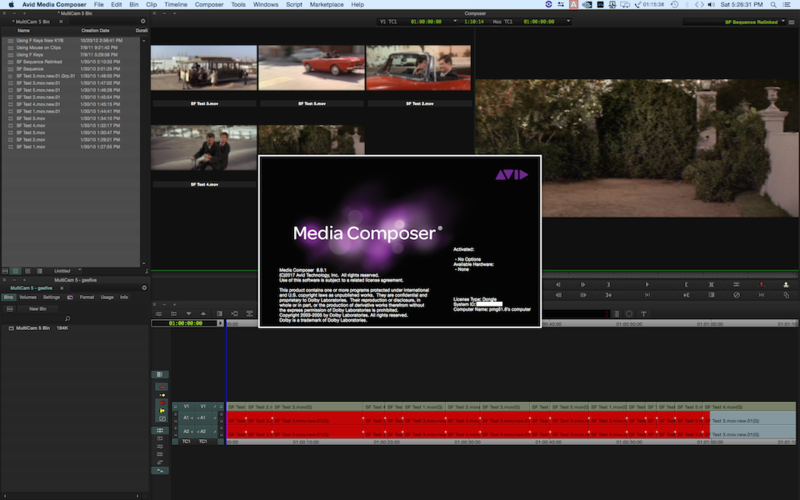 Avid Media Composer’s latest released 8.9.1 now natively supports Sony’s XAVC-S codec. I did a test and was able to AMA link and play UHD 23.976 files from a Sony a7s camera. The linked files played perfectly. However when I try to transcode the longer 20+ minute 4K files to DNxHRSQ I get an error which is listed below, also changing the format to 1080 and transcoding to DNxHD 115 results in the same error. Shorter 3 to 4 minute files transcode fine. Problems with a few older projects. I can replicate this issue as well. Not sure where the breakdown is - a 12+ min. clip worked, but one that's about 22 min. did not. We need to get this down to 1 thread. This has been reproduced by Avid. Case number is 03275380. I get an error message each time I want to start MC 8.9.1. MC hangs up completely after I chose a project. I cannot open older projects, I cannot create new projects. RAM is loaded to the max, then MC crashes. Never had this with 8.9.. going back to that version. I pay for an editing software, not a "surprise me performance." Yes, I know, my laptop's kinda old, but with MC 8.9 editing performance was so super smooth! EDIT: went back to MC 8.9 and everythings working again. Projects can be opened, and RAM is not overloaded. It would be helpful if you would post your system specifications. I can only say that I am able to open old projects and create new ones without issues on 8.9.1. Thanks for adding the specification. So many are workign fine and only a handful arent. I created a case for you 03277401 and wil have support connect.